Do you want your child to play and learn in a creative, homely environment? If so, then Cherryli is the right choice for you and your child. 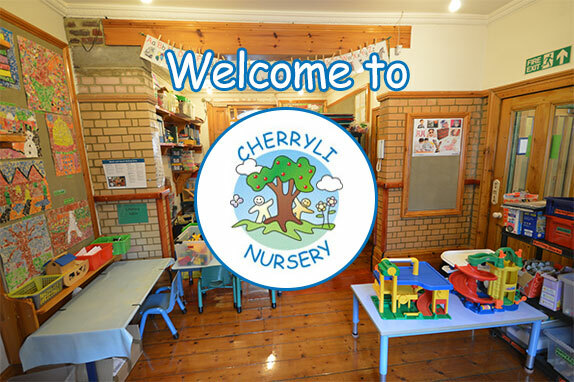 At Cherryli we believe that providing a safe and comfortable environment, a balanced structure of varied activities and dedicated, well-motivated staff is the best way to nurture your child’s individuality and facilitate his or her development. 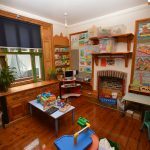 Cherryli is a small, independent nursery, run by an experienced and highly qualified teacher who is present, and part of, every day. 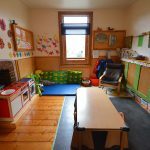 The nursery is situated in a converted house with a beautifully hand crafted wooden interior, providing safe, attractive, warm surroundings for active minds to be at work in. We provide a structured day with a balance of free play and adult-led activities, many with a creative focus, and topics that aim to cover the full spectrum of Foundation Level requirements. The number of children on roll is limited to allow individual attention, ensure effective social integration and to enable children to grow and develop to their full potential. We provide varied, healthy food and can cater for special diets. 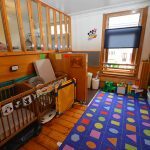 Full or part time care is available for children aged 2 to 5, with a specially adapted baby unit. We employ staff who take a committed and caring approach. They are police (CRB) checked and either fully qualified or in training. Cherryli Nursery is approved by Ofsted.